I’ve noticed a lot of ‘2s’ lately as I read the Word. There was Abraham and Lot, Sarah and Hagar, Isaac and Ishmael, Jacob and Esau, Jacob and Laban, Leah and Rachel, Joseph and his brothers. I seem to be drawing contrasts and comparisons, noticing good qualities and bad in an effort to learn and grow in Messiah. And this week’s portion is no different, though the characters span a distance of 400 years. Who are they? I’m talking about Joseph’s pharaoh and Moses’ pharaoh. The difference between these two men is astounding. Both were in the same position. Both were considered gods. Yet one had wisdom and the other not so much. One listened to the voice of wisdom; the other was deaf to her pleas. As I read through the plagues I see another set of two – the two different sets of Egyptians, the people of the nation under each pharaoh. What a different story it is for the people under Moses’ pharaoh than for those under Josephs’. The nation under Joseph’s pharaoh was saved from starvation and annihilation. Yet under Moses’ pharaoh nearly everything was destroyed. I can’t help but think about our country and its leader and what is heading our way as a nation; what has already begun. Destruction awaits us. Then on the other hand, we read in the book of Revelation about the martyrs. We also hear Jesus warning us about birth pains. Now, being a mother who has given birth six times, I am very familiar with birth pains. From my point of view, they were not pleasant. However, the other day I watched an amazing 3d video of the development and birth of a baby. Everything seemed to be fine and dandy until it was time to be born. The artist certainly captured the baby’s struggle. I tell you, for the first time I looked at the birthing process from the baby’s perspective and realized that has got to hurt! Yet life came from all that pain. So in the coming days of consequences, whether we just see them with our eyes or actually experience them, the important thing is to keep our hearts fixed on God and His great love for us. Brothers and sisters, though times may be scary, ‘be strong, be strong and let us be strengthened’ knowing that just as our Deliverer came before, he is coming again just as He promised – in His perfect time, in His perfect way. 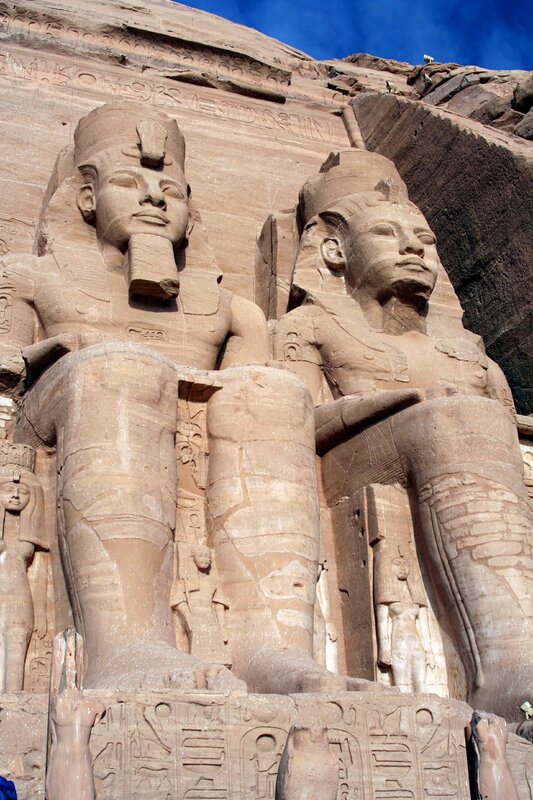 Amazing what you can learn from a couple of pharaohs.